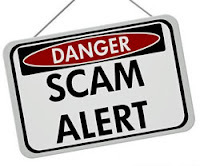 Late last week Dean College received a phone call from the Woonsocket Police Department informing us of a potential marketing “scam” going on in Rhode Island. An individual, claiming to be “Richard”, is stating he works for Beacon Media News and is soliciting advertising space in a “Campus Life” publication. He further states that this publication is sponsored by other colleges such as Dean College, Bryant College etc. Local business owners are then asked to purchase advertising space in this publication, which does not exist. Should anyone be approached with this solicitation, please contact Franklin Police and do not purchase “advertising” space. Dean College has no affiliation with this.